If you live in Europe (and don’t live under a rock), then you’ve probably heard the name “EuroJackpot”. Considered one of the biggest and best lotteries in the world, EuroJackpot has developed quite a reputation and following since it first appeared on the international lotto scene in 2012. Due to its huge jackpots and pretty good odds (as far as major lotteries go anyway), it’s obvious why EuroJackpot attracts millions of regular players (about 270 million, in fact) and keeps growing in popularity. Few lotteries offer such a balanced experience—especially for such a decent price point. The idea of the EuroJackpot was first conceived in 2006 when several European countries sought to challenge the immense success of EuroMillions, which had spread like wildfire through Europe since its founding in 2004. 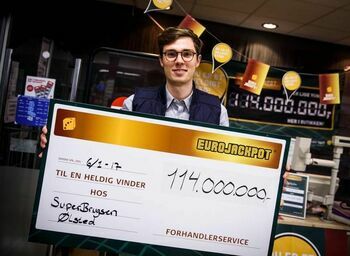 As a result, EuroJackpot was finally launched in 2011 after an agreement was signed in Helsinki, Finland, between the Finnish lottery operator Veikkaas and the lottery companies of seven other European countries. The first draw took place on March 23, 2012. The initial participants were Germany, Denmark, Estonia, Slovenia, Finland, and the Netherlands. They were soon joined by Italy, and later that year, by Spain. Without a doubt, EuroJackpot has achieved its founding objectives. Today it is one of the biggest transnational lotteries on earth, played in 18 European countries. The full list of participating countries as of October 2015 comprises Croatia, Czech Republic, Denmark, Estonia, Finland, Germany, Hungary, Iceland, Italy, Latvia, Lithuania, the Netherlands, Norway, Slovakia, Slovenia, Spain, Sweden, and Poland. The goal of EuroJackpot is to match 5 of 50 possible main numbers and an additional 2 of 10 Euro numbers. The numbers are drawn from two different sets of balls, so it is possible to draw the same number twice. You may pick your own numbers or have them be randomly selected for you. An official EuroJackpot entry ticket usually costs €2, but this could vary slightly depending on where you’re playing from. Anyone who correctly chooses the five main numbers and matches the two Euro numbers will win outright. The jackpot is shared if there are multiple winners. The EuroJackpot starts at €10 million. If no one matches the seven required numbers, the jackpot keeps growing. When it reaches the cap of €90 million, it drops down to the lower tiers, paying out to the closest matches—the next in line being 5+1, followed by 5, and then 4+2 and so on. In other words, it is possible to win the EuroJackpot grand prize even if you didn’t match all of the numbers, and this is a key feature that can greatly increase your odds of winning. In fact, this is exactly what happened in August 2012 when a German lotto player who matched the 5 primary numbers but only 1 of the 2 Euronumbers still managed to score the €27-million grand prize anyway. As you’ll see in the odds table below, his chances of winning as a second-tier winner rather than a jackpot winner were much, much better. Once it has paid out, EuroJackpot reopens at €10 million and the process begins anew. There are twelve prize levels in Euro Jackpot, and cash prizes are paid at each level. The odds of winning the grand prize are 1 in 95,344,200. While at first glance these may seem like pretty tough odds, consider that EuroMillions' jackpot odds are 1 in 139,838,160 and SuperEnaLotto are 1 in 622,614,630. Meanwhile, the US Powerball odds of winning are 1 in 292,201,338 and the odds of winning Mega Millions are 1 in 302,575,350. Suddenly, EuroJackpot is looking quite a bit better, wouldn’t you agree? That being said, the overall odds of winning at least some kind of prize in EuroJackpot are 1 in 26—not bad at all. Every Friday at exactly 9:00 pm Helsinki time (EET) is when the EuroJackpot draw takes place, and the results are immediately available online. The maximum jackpot prize of €90 million was first won by a Czech player in 2015. This incredible windfall has subsequently been paid out once a year and twice in 2018. During 2018, the average win was €41 million. However, it’s worth noting that a total of 67 people have managed to match all five primary and both Euronumbers over the years. Regardless of the sum of money that any of EuroJackpot's biggest winners walked away with, it's a pretty safe bet that every single one of them had their lives changed forever! Jackpot winners can opt to take a single lump-sum cash payment or receive annuity payments over an undisclosed number of years. However, if you're in a country that doesn't tax lottery wins, then there's no reason to not take the full amount up front. Whether or not you'll pay taxes depends on which of the 18 participating countries you're playing from. 11 of these countries (Czech Republic, Denmark, Estonia, Finland, Germany, Iceland, Latvia, Lithuania, Norway, Slovakia, and Sweden) do not tax winnings, but the rest do, and the tax amount can range from 6% in Italy to 30% in Croatia. However, the good news for people playing online from non-participating countries is that your winnings will not be taxed at the source. Your own country, however, may still tax you, so check your local tax laws to make sure. 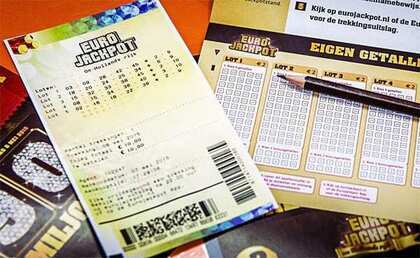 EuroJackpot tickets are available both through many physical lottery ticket agents and online. Although the lottery is officially limited to the 18 participating countries (see full list above), the game can be legally played by practically anyone anywhere through most of the world's best lottery websites. Since many of these sites either buy official physical lottery tickets on your behalf within one of the participating countries and keep them safe for you OR have gaming licenses and therefore allow you to bet on the results of the EuroJackpot draw outcomes, they offer an excellent and extremely convenient way to participate right from the comfort of your own home or mobile device. EuroJackpot – Is It Worth Playing? There are hundreds of lotteries around the world, but few offer such large prizes and "decent" odds (relatively speaking, of course) as EuroJackpot does. Many of the world’s biggest lotteries, such as the American Powerball and Mega Millions, either have much worse odds of winning the jackpot or, if they offer better odds, like Swedish Lotto and Canada Lotto 6/49 do, pay out considerably smaller grand prizes. Therefore, EuroJackpot is overall a great lottery that’s definitely worth checking out. After all, 270 million regular players can’t be wrong.